Disk jockeys take note: The folks over at Algoriddim have released a holiday gift just for you. The new djay Pro for Mac is the first DJ software on the desktop with Spotify integration. Built exclusively for Macs running OS X Mavericks or OS X Yosemite, the application features 64-bit processing, multi-core track analysis, support for Retina and 5K displays, and graphics rendering at 60 frames per second. I’m thrilled to unveil the most sophisticated version of djay we have ever made. djay Pro opens a new chapter for DJs, bringing Spotify to the desktop and offering the simplicity and stability of our platform to millions of professional and aspiring DJs alike. 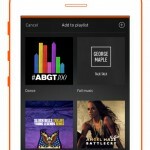 Like djay 2 for iPhone/iPod touch and djay 2 for iPad, djay Pro includes the Apple Design Award winning turntable view. It also features more advanced modes including horizontal and vertical colored waveforms, live sampler and drum pads, and FX racks. 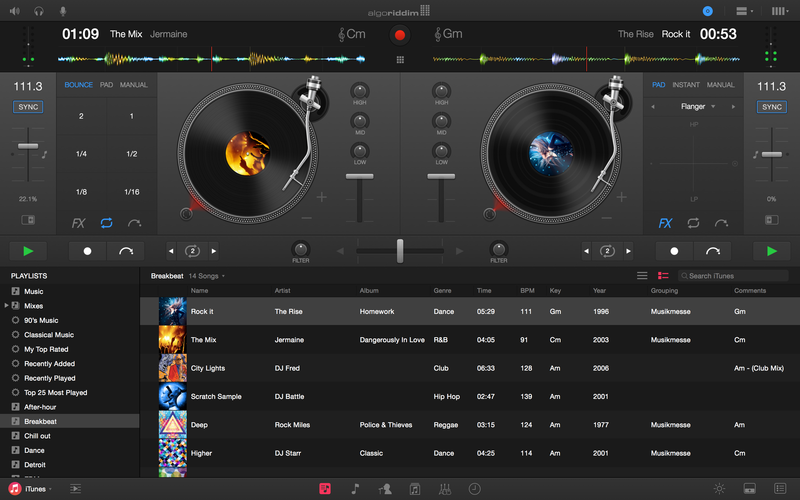 Better still, the application includes a four deck view that allows DJs to play, mix, and synchronize up to four tracks simultaneously. Want access to millions of songs? The music library in djay Pro enables DJs to combine their Spotify tracks from the cloud with their local iTunes tracks. The new library also adds powerful features to help DJs work more efficiently, including persistent history and queue, inline search, instant preview, an innovative song recommendation engine powered by The Echo Nest, and versatile track sorting features. Need even more tools? Over 30 new state-of-the-art audio effects by Sugar Bytes are available via an in-app purchase. AppAdvice has long been a fan of Algoriddium. 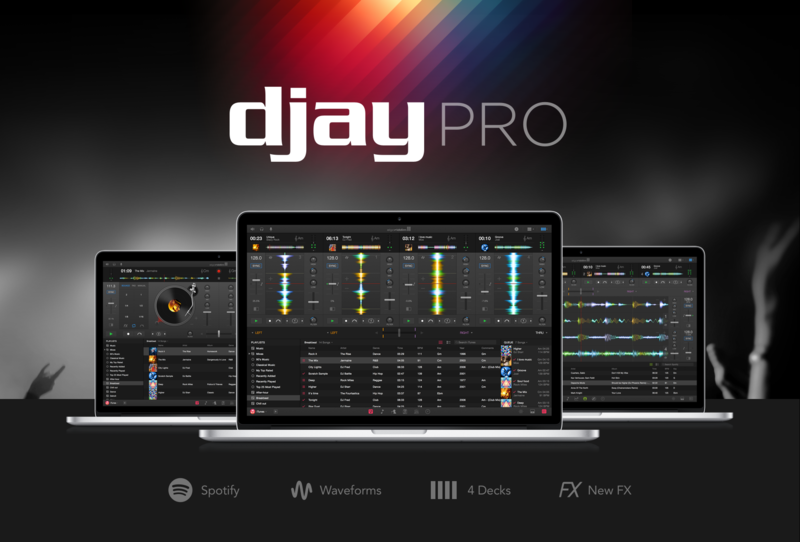 We can’t wait to take a more thorough look at its newest application, djay Pro. For a limited time, djay Pro is priced at $49.99, instead of its regular price of $79.99. The application is available for download on the Mac App Store.